Are There Any Limits on the Amount of Compensatory Damages I Can Recover Against the State of Tennessee? Yes, the Tennessee Legislature has arbitrarily capped the amount of damages available in an injury or death case against the State of Tennessee. Regardless of the severity of your injury or the amount of your medical bills and lost wages, the maximum amount you can recover against the State of Tennessee is $300,000. While this result is patently unfair, it is even worse when multiple people are hurt in the same accident. For instance, if a family was involved in a car wreck with a state employee who was on the job at the time of the accident, the maximum recovery for your entire family is $1,000,000 and each individual can only recover a maximum of $300,000. By way of example, let's assume a mother, a father and their three children were in a car accident which was the fault of a state employee who was on the job. If the mother and one of the children were killed and the father and other two children sustained serious burn injuries and their medical bills were in excess of $750,000, the State would still only be responsible for $1,000,000. By statute, each person would ordinarily be entitled to a maximum recovery of $300,000. But in this scenario, since five people were involved, they will not be able to recover the $300,000 maximum because the total damages are capped at $1,000,000. Cases against the State of Tennessee are complex because of the multitude of special rules which apply. At the Law Offices of John Day, our award-winning trial lawyers are experienced in handling claims against the State of Tennessee, and we are here to help you and your family. If you would like to schedule a free, no-obligation consultation, contact us online or call us at 615-742-4880 or toll-free at 866.812.8787. For injury and death cases, we only get paid if we win. Since we also advance all case expenses, you are never out of pocket any money to pursue your rights. Am I Entitled To Receive Prejudgment Interest For My Compensatory Damages? Can You Give Me An Example Of How Tort Reform Affects Compensatory Damages? Did Tort Reform Impact Compensatory Damages? 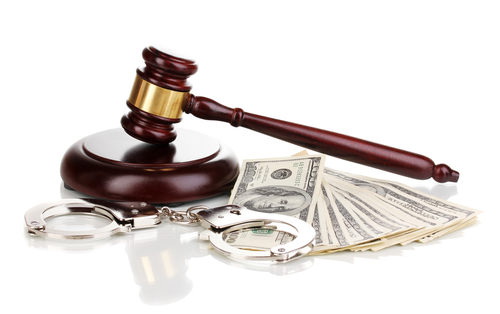 How Does The Jury Determine The Amount Of Compensatory Damages In My Case? What Is Subrogation And How Will It Affect My Recovery Of Damages?